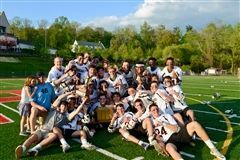 After two straight finals losses to Lawrenceville, Hun finally got the better of the Big Red this season, copping the Prep A state title with a 9-6 victory over the defending champs. It was an unusual season for the Raiders, as they fielded a starting lineup with only three seniors, played only 12 games and started the year with a 2-2 record. UPDATE: Yale beat Duke on Monday, May 28th to clinch its first-ever NCAA men's lacrosse championship. It is the first Ivy League school to win since Princeton in 2001. 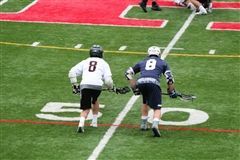 Hun alumni Brendan Rooney '15 and Chris Fake '17 both play for the Bulldogs. 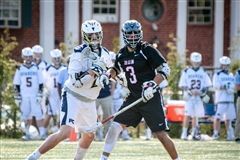 Hun alumnus Chris Fake ’17, a key defensive player for Yale men’s lacrosse, has been named Ivy League Rookie of the Year. 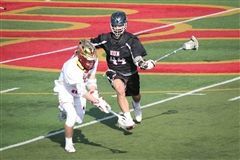 On May 26th, he’ll compete with Yale in the NCAA lacrosse semi-finals. 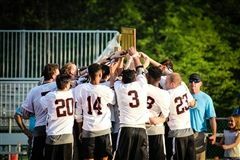 It will be the Bulldogs’ first lacrosse Final Four since 1990. Devon Cowan’s left hand was partially covered by a cast, but that wasn’t about to slow him down as top-seeded Hun hosted third-seeded Lawrenceville in the state Prep A title game last Monday. 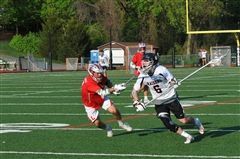 “I broke my hand a couple of games ago,” said junior attackman and co-captain Cowan, who had scored four goals when Hun fell 10-9 to Lawrenceville in a regular season meeting on April 7.